So for Games & Tea's first review, we're going to take a look at the card game Gloom, from Atlas Games. 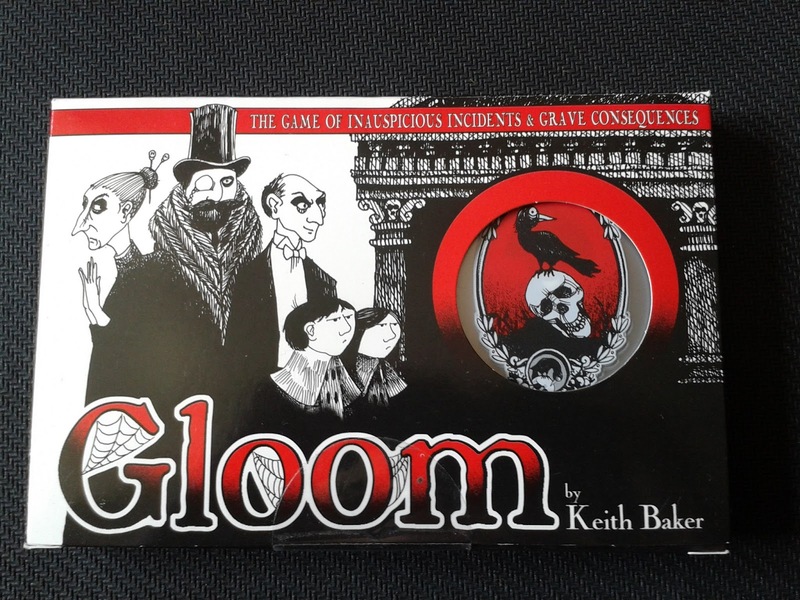 Gloom is a self-described game "of inauspicious incidents and grave consequences", and is for 2-4 players. The aim of the game is something of a morbid one; to heap as much misery and despair as possible onto your family before killing them all off in untimely and (for the most part) unfortunate ways. Seeing as the winner is the player with the most miserable dead family members, it's also a good idea to try to cheer up your opponents' families, whilst continuing to drag yours down. The greatest appeal of the game, though, is the storytelling aspect, which we'll come to shortly. There are four families to choose from, all with very different characters and backgrounds. Castle Slogar (red) are the family of necromancers. 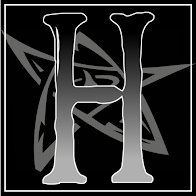 Hemlock Hall (purple) very much feel like the Addams Family of the game. The Blackwater Clan (green) are the large, murderous family, ruled by an iron-fisted matriarch. Dark's Den of Deformity (yellow) is the travelling circus troupe of terribly unsuccessful acts. There's no advantage to playing as one family or another, it's best to look them over before the start of the game and trying to work out which family you'll find it easiest to spin stories around, and go with them. 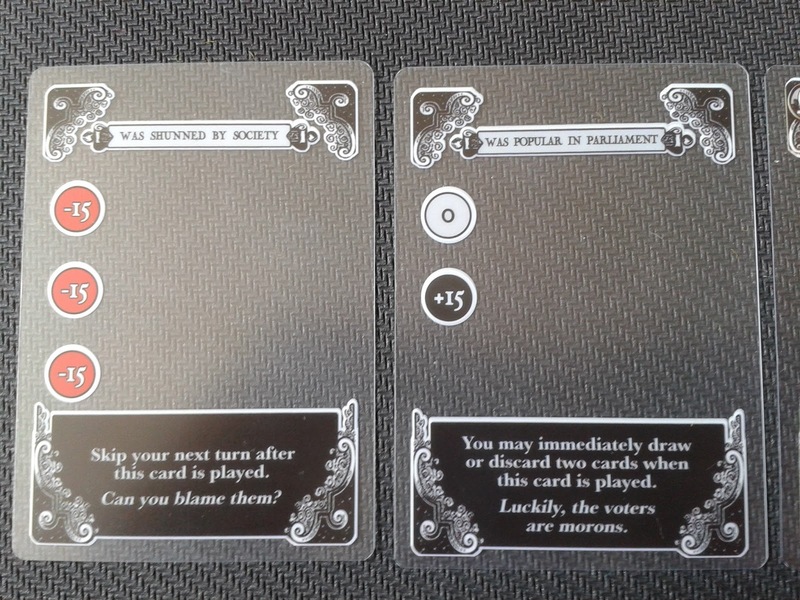 Each character card contains a few lines of a flavour text to give the player an idea of their personality, whilst the instruction sheet contains a paragraph on each family's background to help get the ball rolling. Once each player has chosen their family, they're laid out face-up in a row, ready for death to come and claim them. As mentioned earlier, you can cheer up your opponents' families as well as making your own more miserable, and as such there are positive Modifiers as well as negative. Each one gives or removes Pathos points to a character, and the aim of the game is to get the negative Pathos score as low as possible. 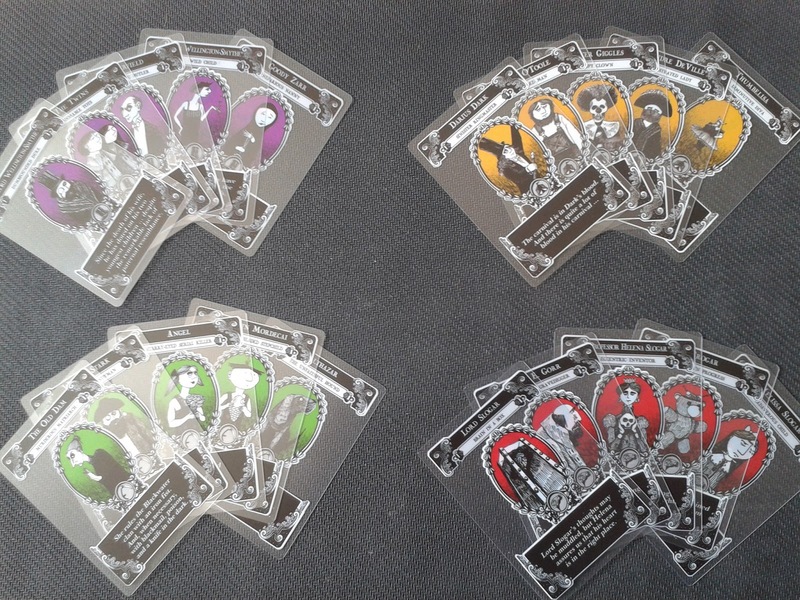 All of the cards in Gloom are printed on transparent plastic, so to play a Modifier you simply lay it over the top of the character in question. There is no limit to the number of Modifiers which can be stacked upon a single character, but only the special text/Pathos scores which are visible count. For example, here we see Shunned By Society and Popular In Parliament. If Shunned is the top card then the character will be worth -45 Pathos points, but if Popular goes on top then the upper blank circle and middle positive circle will cover up two of the negatives on Shunned, so top to bottom it will read -/+15/-15, giving a self worth value of 0. 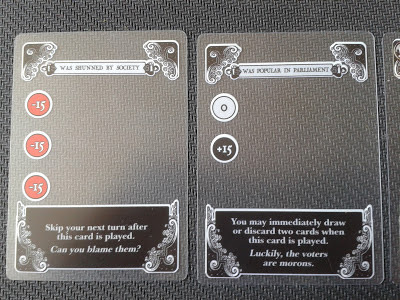 The other two card types are Untimely Deaths and Events. Untimely Deaths are the killing blow with which you'll finish off your family members. 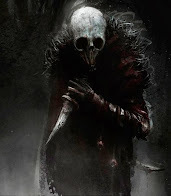 A dead character can no longer have any modifiers played upon them, so once you've shuffled them off their mortal coil their Pathos points are effectively 'banked'. Some Untimely Deaths will have Pathos points of their own, to give your character one last kick while they're down, whereas some will actually have a little pick-me-up, so you can help one of your opponents' characters die happily, impacting on their final score. The tricky part with Untimely Deaths is that they are only playable on characters with an overall negative self-worth score, so you can't simply pile the positives onto an opponents' character and then kill them. However, if your opponent has a character with an overall self-worth of -5 then you might want to bump them off before their score improves. 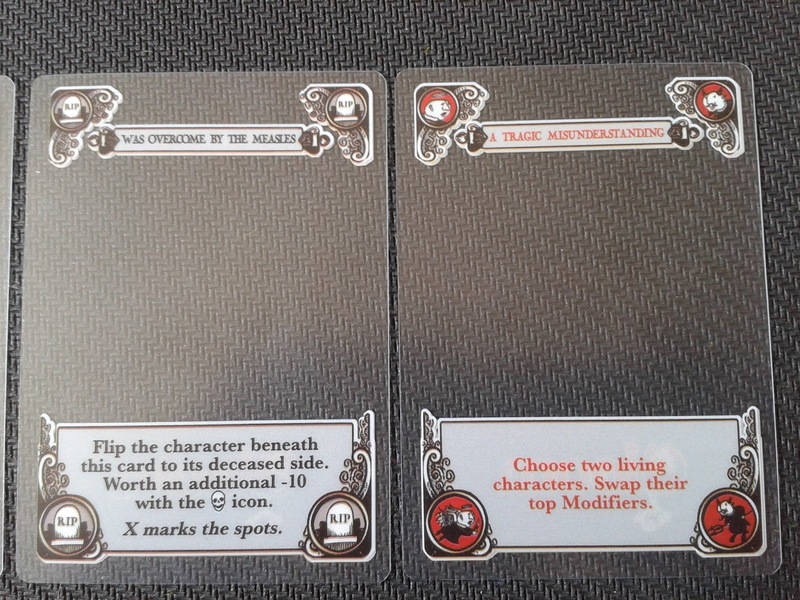 Event cards, with the red print, allow you to take actions instead of playing cards from your hand. As seen above, A Tragic Misunderstanding allows you to swap the top Modifiers of two living characters. Others may allow you to move Untimely Deaths from one character to another, whereas some will simply allow you to draw more cards to increase your hand size. Let's have a look at some of these cards in action. 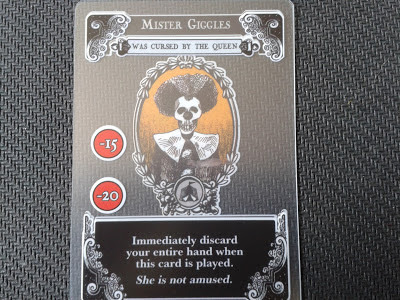 Here Mister Giggles has been Cursed By The Queen, giving him a respectable self-worth score of -35. However, this powerful card comes at a price: the player must discard their entire hand once it has been played, so it's best not used if you have other particularly good cards in-hand which you want to save for later. Here's Mr Giggles again, but this time he has tragically passed away. 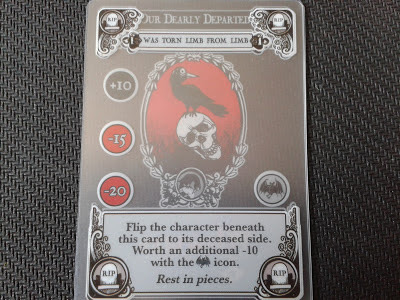 Once a character has died their card is flipped face-down to show the skull on the reverse, and all Modifiers (and of course the Untimely Death) left on top of the card. Here Mr Giggles died with a score of +10/-15/-20, giving him -25 Pathos points. 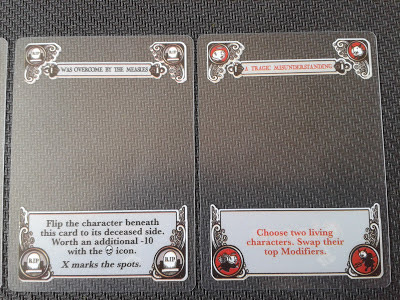 However, one of his earlier Modifiers included the 'Beast' symbol on the right of the card. As Was Torn Limb From Limb is a Beast-oriented death, Mr Giggles picks up an extra -10 Pathos points as a bonus, giving him a total self-worth of -35. So those are the card types and how they layer, so let's look at how the game is played. Once the families are all lined up, each player draws a hand of five cards from the deck in the centre of the table. The draw limit for each player is five cards by default (some Modifiers may increase or reduce this), but there is no hand limit. If you play an Event card allowing you to draw extra cards so you end up with seven in your hand, you don't have to discard. You simply don't get to draw again at the end of your turn until your hand is below your draw limit again. Each turn you may take two actions, and they can be any of the﻿ following: Play a card, Draw a card, Pass an action. The only limitation in playing your cards is that an Untimely Death must be the first card you play on your turn. This prevents players from simply putting a very high negative Modifier on their character as their first action and then killing them as their second. Once your two actions have passed you enter the draw phase and draw cards off the deck until you reach your limit. The storytelling (as touched upon earlier) is where Gloom comes into its own. It can be a very quick and uneventful game if each player simply puts down two cards and passes the turn. So Lord Slogar has been Menaced By Mice... how did this come about to a man who is simply a brain in a box? At what point did this descend into his being Taunted By Tigers? And does this tie in somehow to the moment Darius Dark Found Fame At A Feast? It's your job to tell the tale of how these events unfolded upon your family, and as long as the players have fresh imaginations, no two games of Gloom will ever be the same. The game ends as soon as one family is killed off in its entirety. When that happens, all players add up the total Pathos points on their deceased characters only, and the player with the highest negative score wins (or lowest score, depending how you want to put it!). The physical quality of the game is especially good. 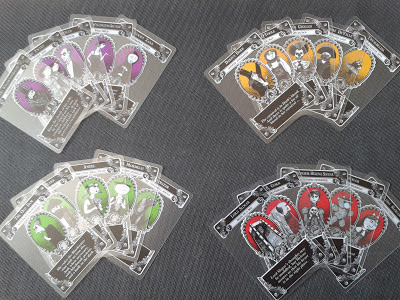 The plastic cards mean that there's no risk of wear and tear around the edges, and it's refreshing to have a card game where an extra investment of card sleeves isn't required. The unfolding story is only as limited as your imagination. With the right group of people it can be hysterically funny. It won't be for everyone. With the right group of people it can be hysterically funny, but if all players don't have the imagination and enthusiasm for storytelling, the game loses its edge. Although it is possible to play with just two players, the gameplay doesn't quite work that way. It feels a little as though you're playing tennis, with the story just being knocked back and forth across the net. 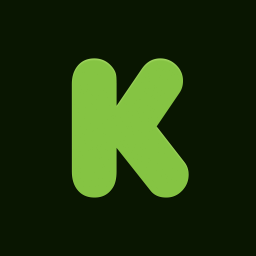 With three or four players you're each being given more ideas to work with, and trying to weave together the stories of each family is part of the fun. 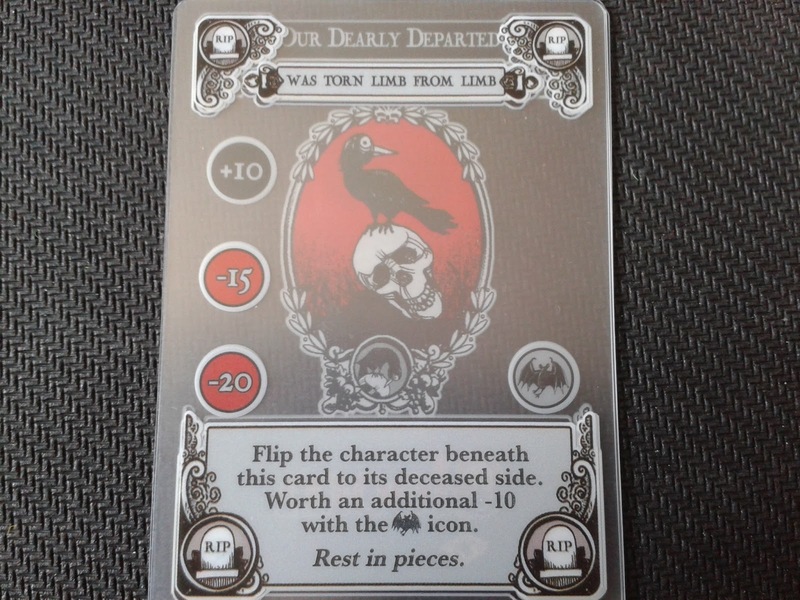 It's hard to put an average game time on Gloom, as it entirely depends upon how much story each player decides to put to their Modifiers and Untimely Deaths before playing them. I've personally never played a 3-4 player game which took less than 1hr or more than 2hrs. If players wish for a shorter game they can always agree to remove a family member, just playing with four each instead. Seeing as the Modifiers and Untimely Deaths only have vague titles, the stories spun to link them up are almost always unique. As such you can count on every game of Gloom to be different, giving it a much higher replay value than most games out there. There are already three expansions available for Gloom; Unwelcome Guests, Unhappy Homes, and Unfortunate Expeditions. All three introduce new characters, new card types, and new game mechanics. There is also a themed Cthulhu Gloom, which also has its own Unpleasant Dreams expansion. 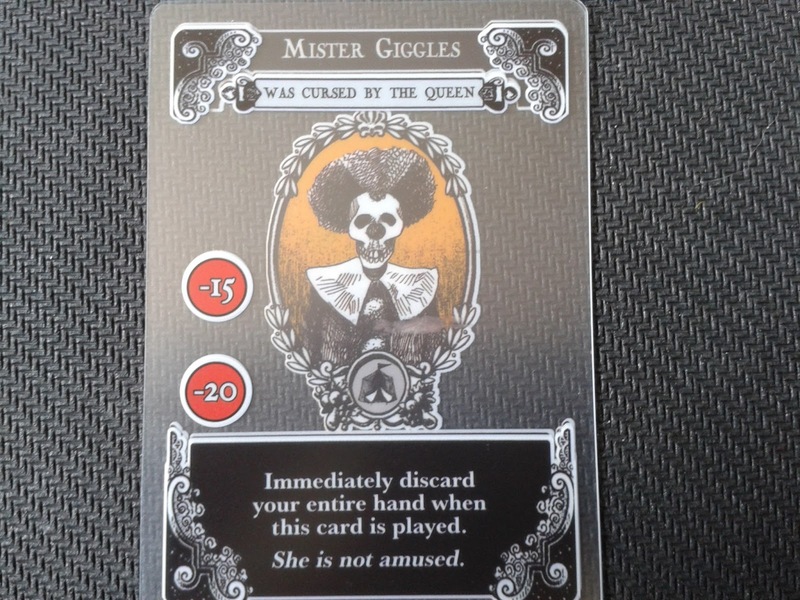 Gloom will set you back around the £20.00 mark, but doesn't seem to be particularly common in game shops. I heard about it purely by word-of-mouth, and was usually told "We don't have it, but can order it in." In the end I picked it up off Amazon. 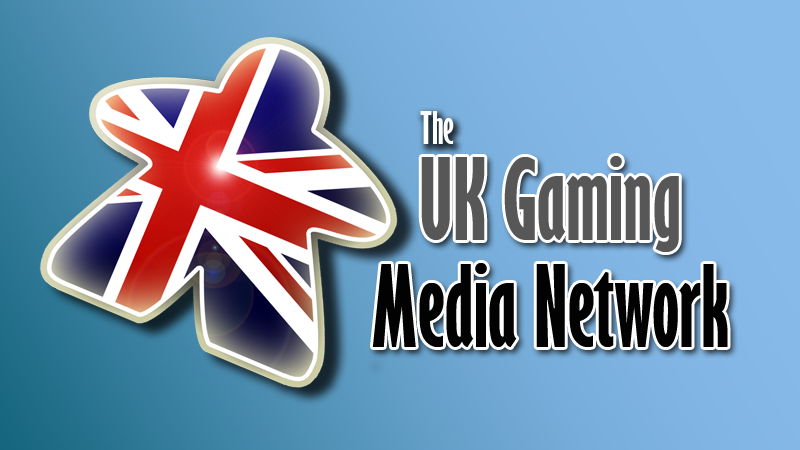 The expansions are around £12.00 each, and similarly will probably have to be specially ordered by your local game shop or bought online.